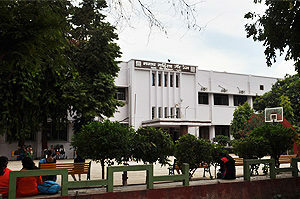 Department of Chemistry Started in 1947. Honours teaching started from 1976. P.G Course started from 1984. The Department of Chemistry was started in 1948 with introduction of the Intermediate Education in Science. Dr. (Mrs.) Rani Chakrovarti (Nee Mishra) was the founder Head and contributed to the introduction of B.Sc. course in 1966. 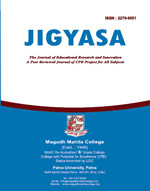 Subsequently Professor Dr Sarojini Srivastava (1973–1991), Dr. Gomati Venkatraman (1991-2001) headed the department. Prof. (Dr.) Rani Azad. Department also conducted a large number of National symposium/seminar and workshop financed by the UGC and DST.